Here is the start list for USA 20K championship race in New Haven, CT on Monday, September 3. In January of this year Marino competed in the US Olympic Marathon trials, where she finished 51st of 153 competitors, in 2:41:22. In June, she came 18th at the NYRR Mini 10K in New York, running 35:06. She owns a 1:13:47 PR in the half-marathon. 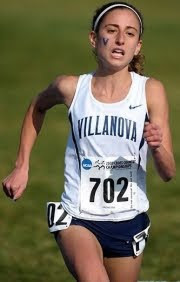 Marino was a three-time All-American in cross country for Villanova, graduating in 2011. A total of $43,000 in prize money will be awarded as indicated below. Prize money is for U.S. citizens only, per USATF Championship guidelines.